We know how you feel. Even the smallest intrusion of water can cause a huge amount of damage to your belongings, and the structure of your building. And the shock of being flooded is stressful enough without worrying about how to deal with the damage. But it will save you a lot of time and money if you begin restoration straight away. Inspection & Assessments: So that you and your insurer know the extent of the damage, what needs to be replaced, and what can be restored. Top of the Range Industrial Strength Dehumidifiers & Blowers: To dry out your property quickly and thoroughly. Disinfecting, Deodorizing & Sanitizing: To control mold, harmful bacteria, and odor. Cleaning & Pack-Out Services: To protect your personal belongings. Secure Off-Site Storage Facilities: To keep your furniture and personal items safe while we restore your property. Reconstruction & Repair Work: To repair any structural damage caused by flooding. 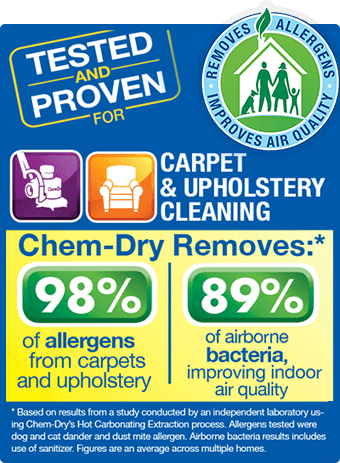 Furniture & Carpet Cleaning: To restore your damaged floor coverings and furniture. All standing water should be removed immediately, and then industrial strength equipment needs to be installed to extract moisture from your floors and walls. This will prevent the growth of harmful mold and bacteria, dry rot and structural damage to your home or business. We don’t have a magic wand but we can offer you the next best thing. We offer a 24 hour emergency service. So whether your flooding is due to natural disaster, a leak from dishwashers or other appliances, or broken pipes, give us a call now and minimize the damage. We can work with your insurer, to save you time and a lot of headaches. And we make sure that your property is restored quickly, to minimize any inconvenience to you. A leak that has occurred over a long period of time may not seem as worrying, as a flood. The trouble is these types of leaks can cause the most damage to your property, and also to your health. So it is important that they are dealt with quickly. Why waste another minute? You can prevent further damage to your home and contents by calling us now, right now on (214) 939-7600, or use our contact form. Our 24 hour emergency service is available 7 days a week, so we can begin to restore your property right away. Our technicians are IICRC certified and they will be happy to answer any questions or concerns you may have. And don’t forget, we work with your insurers to save you time and inconvenience. If left untreated, water can pose a serious threat to furnishings, walls, floors and ceilings. Because water damage problems can’t wait, we offer fast response to water damage emergencies. 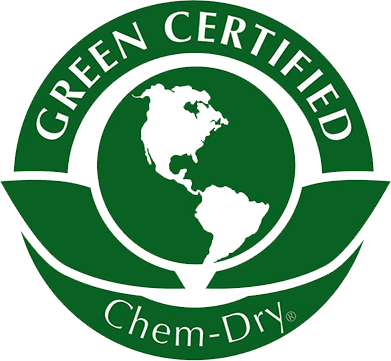 IICRC Certified in Water Damage Restoration. 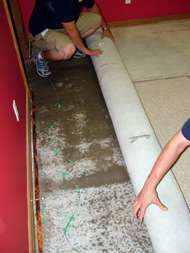 Expertise in water damage best practices. Large inventory of state-of-the-art extraction and drying equipment. Utilize our IICRC certified Water Damage Professionals to help you recover after any type of water emergency: flood, plumbing problems, leaks, after fire clean-up, etc. We act fast to extract water from your floors, increasing the chances of salvaging your carpets and rugs, and decreasing or eliminating any health concerns. Once the water is removed and the carpets are dry, we’ll deep-clean them to remove any bacteria, dirt, and residue, ensuring you and your family are fully safe & recovered. Call (972) 690-7272 to reach our urgent water restoration team for immediate dispatch! We’re available for urgent response due to emergency flood water extraction & drying. Get the Water Out Now!